Personal Training - Get the quickest results possible at the gym, park or beach. A full body workout, developing Recruitment of Motorical Units (maximum strength), Hypertrophy (incerase of muscle size), and development of Definitions (Body Sculpt), Explosive power, and muscle endurance. Using Gym equipment such as Free weights, Weight Machines and Cardio Machines. Learn how to work safely and efficiently. Also I will make for you a program taylored to your schedule and desired results. Joint Prehab- This seminar includes Mobilization of all the joints in the body, exploring all the ranges of motion our skeleton is capable of, learning how to control and use those for better health and performance, and understanding the importance of doing so. This seminar also includes strengthening routines for each joint, building bullet proof joints that can handle the loads of body weight needed for development of strength and skill. Functional Strength- This seminar covers functional Strength progressions (by progression it means that I will start you were you are at and add body leverage to the drill as you get stronger), developing specific strength in various body alignments, which basically means that all of your body is getting a workout at the same time, and not isolating the muscles (hence functional), this workout is divided into a 3 day routine, similarly to the work at the gym, only the muscle groups are divided around a more functional logic. The concept is similar to the Cross fit idea, only that you also develop actual skills in the process. And it includes metabolic exercise which is more efficient for weight loss and endurance, then the old school aerobics. W.O.D.- Workout Of The Day, get to do an entire practice with me, start to finish. A balanced workout that include joint warm up, specific strengthening of joint that would take most of the impact, and strength work as part of a weekly routine to keep you in prime shape. Learn the work methods to optimize results from the various drills, and learn how to perfect your own form to optimize your individual progression while actual doing a full regular practice. Balancing- “The gym that is always with you”. This Seminar covers various position of balancing on your arms, straight and bent. It is a full body workout, throughout it you would develop a growing ability to control more and more parts of your body, it is a meditative practice. The seminar includes work on body line, and re-balancing techniques, taking a complete novice all the way from standing on your feet only, to balancing on your arms, even to balancing on one arm, with a precise progression. Aeriel- This Seminar covers work on Fabric/Silk, starting with various simple conditioning drills and basics to get you specifically stronger and comfortable with this apparatus, and could lead to advances entanglements and drops. This work is a very good balancing work for most body weight exercises that are done on the floor, for the fact that most of them work mostly with pushing the floor, where this one work mainly on pulling, you get to balance your workout in a fun way, and find out if you are a better pusher or puller. Acro Balance- Done with a partner, this seminar covers Acro Yoga, which is a fun practice that could be an easy introduction into balancing one on another, doing pretty position that incorporate stretches and balancing, leading onto harder positions of Acro Balance, transition that incorporate more of a strength element, both of the base person lifting the other and balancing, and the flyer person who has to work with body line and staying tight. Freestyle Acrobatics- Learn various flips, this Seminar will help you break through the fear of leaving the ground, and teach you to control your body within lack of balance, it covers elements from Gymnastics as well as Martial Art flips, working with Power Moves, and learning how to generate explosive power in various positions. Working with a gradient to fit any level of practitioner. Floreo- A mix of movement and acrobatics on the floor, taken from Yoga, Break Dance, Balancing, Gymnastics and mostly Capoeira. This movement also utilizes a lot of back band positions and transition, which is an option for movement that makes humans unique among most other living things, this type of movement is known to enhance back health when practiced correctly, and can add to your youthful posture. 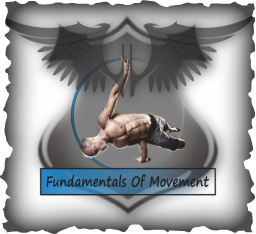 This seminar is for all levels, it covers b﻿asic stretch﻿es all the way to advanced ones, and it starts with positions and transition that can be performed by anyone. To schedule a seminar a workshop or online instruction please use the contact me page.